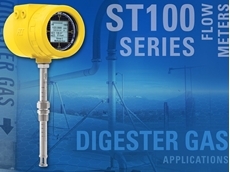 With an advanced U tube flow sensor design, the new model CMU Coriolis mass flow meter from Fluid Components International (FCI), now delivers more than twice the industry standard flow rate than previously available to set a new benchmark, when compared to other Coriolis devices in its class. 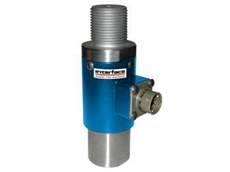 FCI’s Model CMU flow meter combines large line size service, high flow rate capability and outstanding measurement accuracy, all in a standard product. The CMU’s innovative U tube flow sensor design features a lightweight tube, minimal welding and vibration dampening technology. The design achieves higher long-term mechanical reliability and lower installation costs, when compared to the typical heavy die-cast elements found in ordinary Coriolis devices. The design also eliminates the bulky and costly extra structural supports often required to mount and secure other metering devices. The CMU’s accuracy range is 0.1 to 0.15% in liquids (depending on line size) and 0.5% in gases (+ reading). With its high accuracy, repeatability and multivariable parameter measurement capabilities, the CMU meets the stringent industry requirements for applications in custody transfer, precision product line batching and test-stand performance measurement. A ruggedised full-featured transmitter, the model CT is available to support the CMU flow meter. Available as a blind transmitter or with an integral two-line LCD digital display, the transmitter is the electronics interface to the sensor and an array of analogue and/or digital outputs. Standard outputs include dual 4-20mA, one standard with HART?, a frequency/pulse output of total flow, and a binary output of instrument status. Output options include Profibus-PA and a tamper-proof, custody transfer configuration that is sealed / certified, and prevents resetting of the internal totaliser. The CT can be mounted integral with the sensor or remote mounted up to 300 m away. 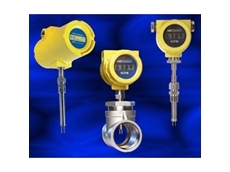 With model CMU, FCI expands Coriolis flow meter technology to serve a much broader range of applications in chemical, petrochemical, oil/gas, pharmaceutical, food and beverage, engine test stands, pilot plants and many more. 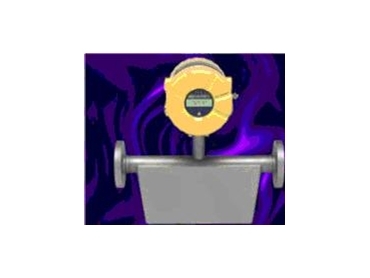 Precision Coriolis flow measurement technology is here at last for many challenging high flow rate applications. Many challenging process applications that could be improved or achieve cost savings with high accuracy Coriolis flow measurement have been long ignored because of line sizes and flow rate limitations. 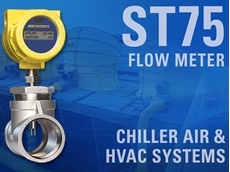 Typical Coriolis Flow Meters have been limited to service in line sizes of 6 inches or smaller and for use with benign fluids compatible with stainless steel or Hastelloy C. FCI’s new Coriolis flow meter product line overcomes these obstacles to expand the applications envelope for this technology. 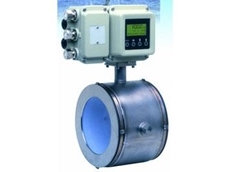 The FCI’s CMU Coriolis mass flow meter is available from AMS Instrumentation & Calibration .